Client no-shows cause inconvenience, stress and lost revenue. They’re an issue for many salons, spas and clinics and can stand in the way of your success. Here are 10 things you can do today to reduce no-shows. One of the quickest and easiest ways to reduce no-shows is to automatically send appointment reminders to your clients. There are so many case studies that show automatic reminders decrease no-shows, save time and increase revenue. Appointment reminders are also helpful for your clients as they’ll be less likely to forget about an appointment when they have a reminder a day or two before. It’s recommended that you customise your appointment reminders. Choose when reminders are sent, write your own personalised message and select which contact method to use, e.g. text or email. When it comes to sending appointment reminders, it’s important to have the correct contact details for your clients. Important! Also ask your clients to specify their preferred contact method, e.g. phone, email or text message. That way your appointment reminders and any other important news, events or information, will be more likely to reach them. If you experience a high no-show rate, you could try taking deposits or prepayment for appointments. By asking your clients to commit money to their appointment, it gives them real incentive to attend their booking. It’s important to customise deposits or prepayment to make them work for your business and clients. For example, your clients may only need the incentive of paying a 10% deposit to ensure they show up. Alternatively you may offer services that are impossible to fill last minute and therefore asking for full, non-refundable payment prior to the appointment may be required to ensure you and your staff are still paid for your time regardless of whether the client shows up. Kitomba has found that if a client makes their appointment using Online Booking, the number of no-shows experienced reduces. Plus, depending on the software system you use, Online Booking can automatically send a confirmation email to your clients. Reminding your clients more than once can reduce the chances of them not showing up. It’s really important to have a no-show policy to clearly set expectations with your clients. Your policy should clearly define what a no-show is and how much you’ll charge if they don’t turn up for their appointment. By clearly outlining your policy and sharing it with your clients via email, your website, Online Booking site and clearly displaying it in your salon, spa or clinic, it’ll help ensure they’re less likely to miss an appointment. Sometimes clients genuinely don’t mean to no-show, they simply forget an appointment or double book themselves. Using Kitomba Everyday Marketing, automatically set up a “sorry we missed you” text message or email to send to no-shows. The message should let them know that they missed their appointment and encourage them to contact you as soon as possible to reschedule. It’s really important to ensure your clients know their appointment time when they make a booking. Use appointment cards or Kitomba’s send appointment details feature to instantly send them to your clients via email and text message. Ideally your email and text messages can allow your clients to automatically add their appointment to their calendar. 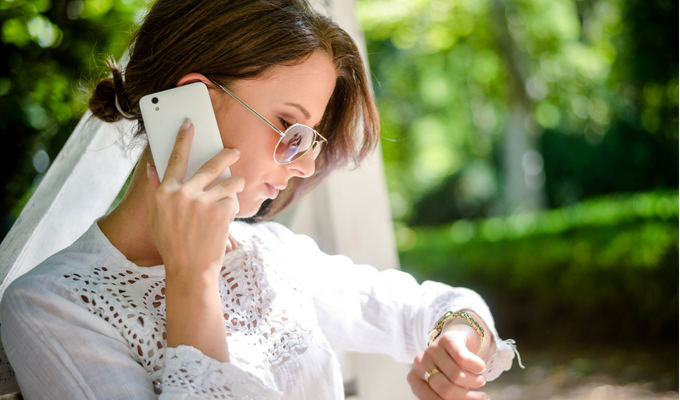 The combination of an appointment reminder prior to their appointment and a calendar reminder at the time of the booking will increase the likelihood that your clients make their appointment. Ensure that you reschedule a client that no-shows and let them know about your no-show policy. As a general rule, clients who miss an appointment will often make an effort to ensure they don’t miss the next one. It’s recommended that you reach out to clients who no-show as soon as possible. So wait 10 to 15 minutes and then give the client a call to check in with them.